Less ads - more choice! Adlesse replaces ads with useful widgets of your choice. Less ads - more choice! 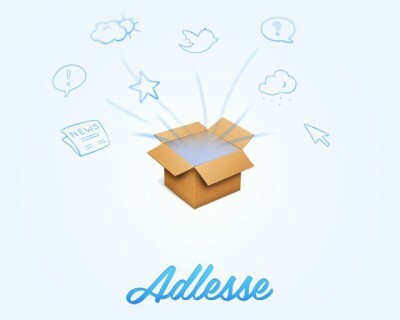 Adlesse substitutes all the annoying banners in your favourite browser for useful widgets of the same size: local news and weather, your friends` latest tweets, Facebook feed, interesting facts, famous people's quotes, and others. It keeps you up-to-date with the latest info while you are peacefully surfing the web. Adlesse supports Internet Explorer, Opera, Firefox, Safari and Chrome! Recover lost passwords from your Web browser. Shows Facebook images stored in the cache of your Web browser. Designed to keep all Doctor Who fans up to date on the latest news via Dashboard, without the need to open a browser.